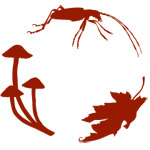 My source for the official name of a species (accepted species name) is VASCAN (database of vascular plants of Canada), an online database on the web site Canadensys. This also applies for the English name (accepted English vernacular name). For the French name of a species (accepted French vernacular name) I am also referring to Vascan unless I find another French name to describe the same species in a publication, subsequent to the year 2000, of a recognized Quebecois botanist. 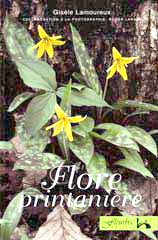 Most "official" vernacular French names on this web site that do not emanate from VASCAN, comes from the book Flore printanière (2002), by the botanist Gisèle Lamoureux of Fleurbec group.